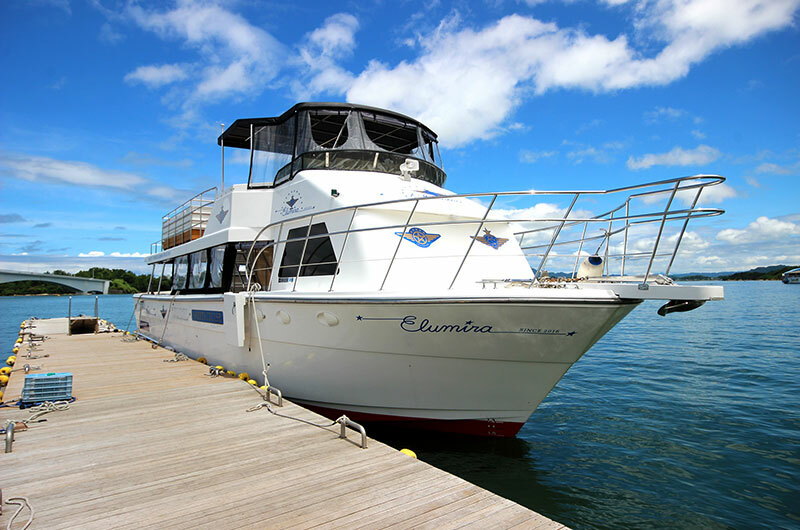 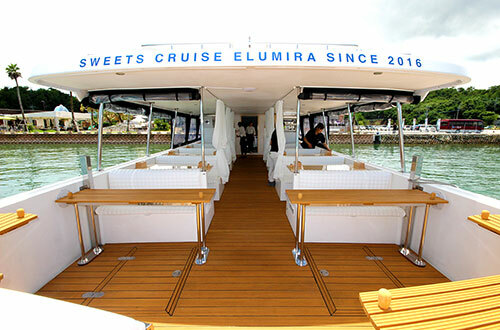 The Elumira is an unusual passenger boat, characterized by its box-type seats with tables. 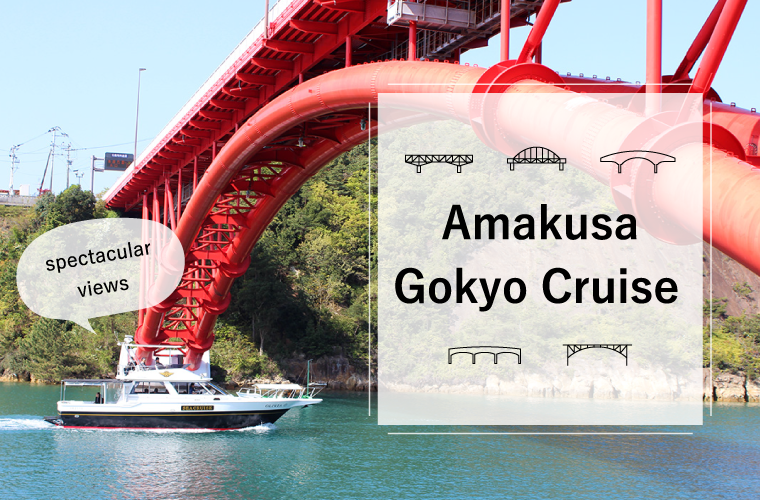 Enjoy some delicious sweets, and admire beautiful views of the Five Bridges of Amakusa and Amakusa Matsushima, as well as the stunning views of Misumi West Port, which will make you feel the passage of history. 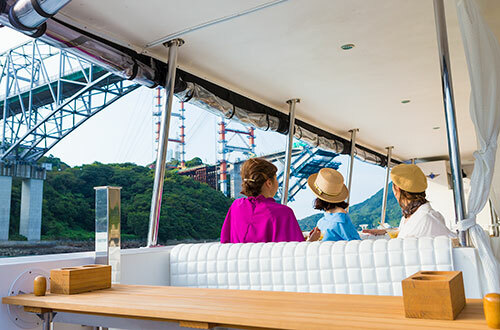 This luxurious and elegant space has been designed under the careful supervision of Eiji Mitooka and Don Design Associates, who were also commissioned to create the design for JR Kyushu's "Seven Stars in Kyushu," the Sweet Train Aru Ressha, and the cruise boat Marisol. 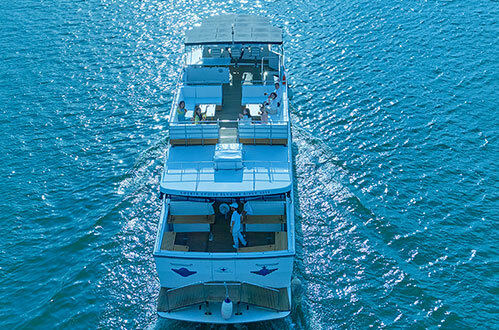 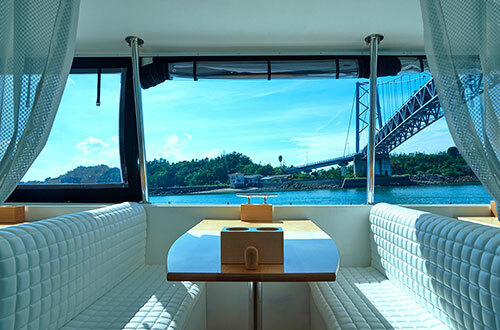 This resort cruiser has been designed to resemble "terrace seats" floating over the sea. 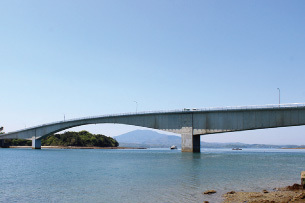 In April 2016, Kumamoto Prefecture suffered a natural disaster in an unprecedented scale, the Kumamoto Earthquake. 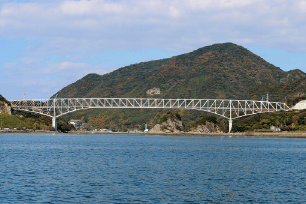 This caused the number of tourists to drop sharply in Kumamoto, which was near the epicenter; the Aso region, which sustained great damage; and also in Amakusa, where there were hardly any noticeable damages, but still rumors regarded it as an affected area. 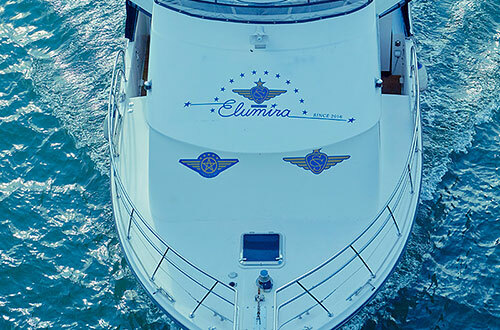 In July of the same year, as our company was holding back from putting the Elumira boat into service, the meaning encompassed in the Elumira name became "A Bright Future, a Happy Future." 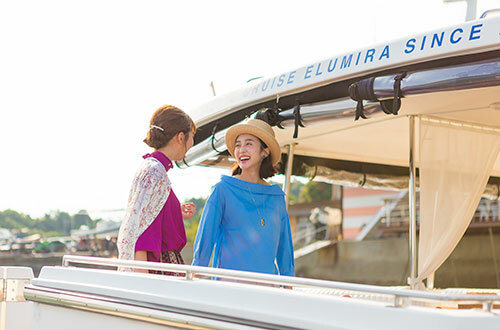 Albeit coincidentally, we hoped that Elumira would become the symbol of the revival of tourism in Kumamoto, and thankfully we were able to put our services into commission as planned. 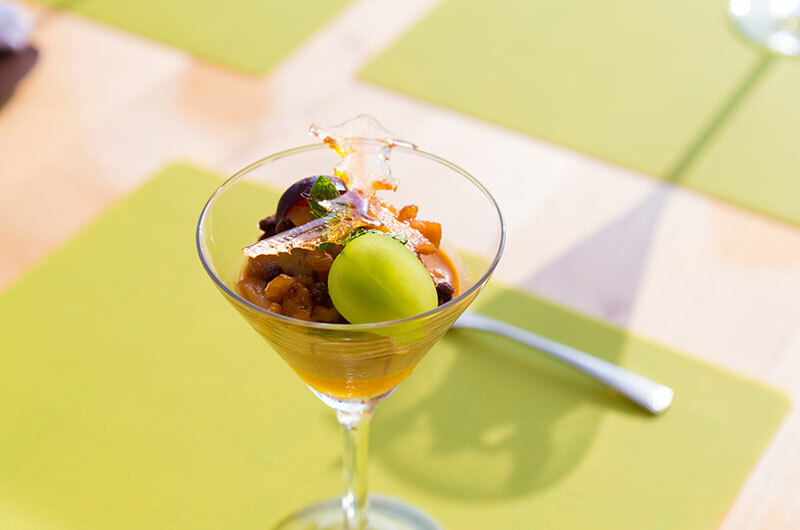 When preparing the sweets and lunches, we do our utmost best to use ingredients from Amakusa, in Kumamoto. All our staff do their very best to contribute toward the reconstruction of Kumamoto, through the provision of Elumira's services. 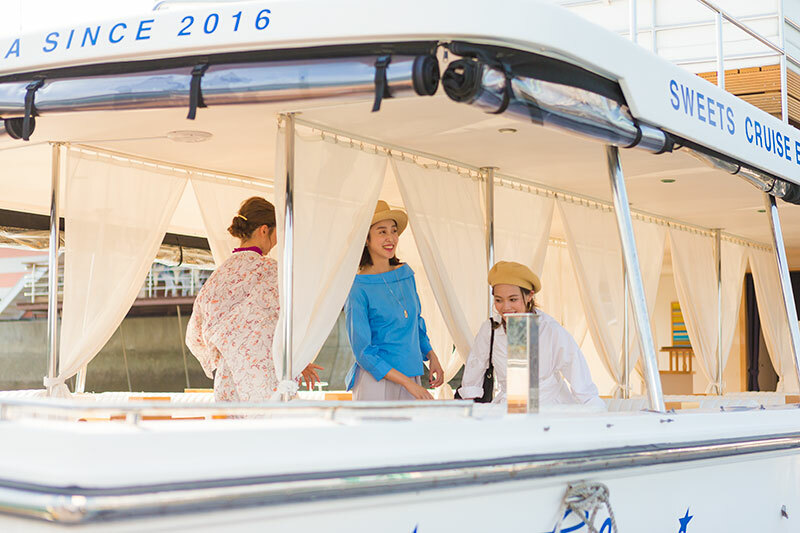 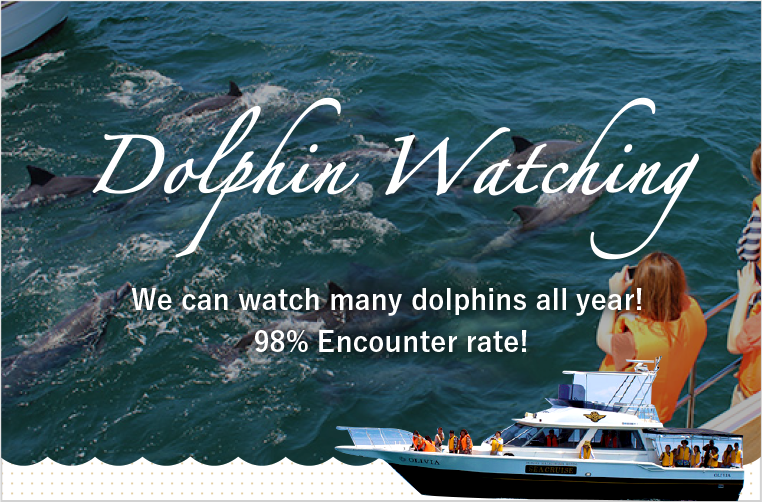 We hope you will come to enjoy a luxurious experience of delicious sweets and beautiful scenery from the comfort of our boat. 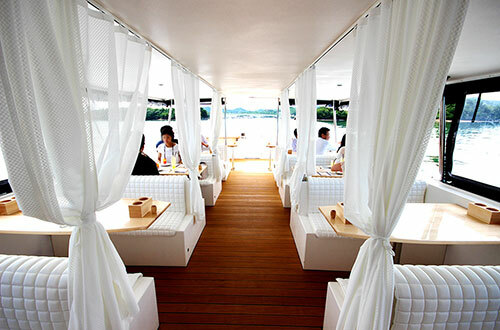 A fresh resort-style design based primarily on white. 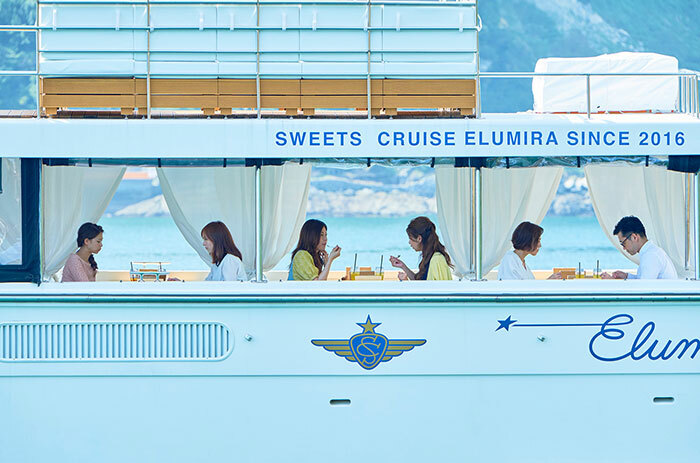 The boat's trademark is the SC logo, representing the initials of Sea Cruise & Sweets Cruise. 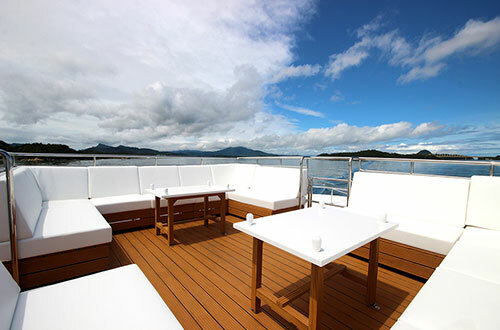 The wooden deck and tables help to create a truly warm atmosphere. 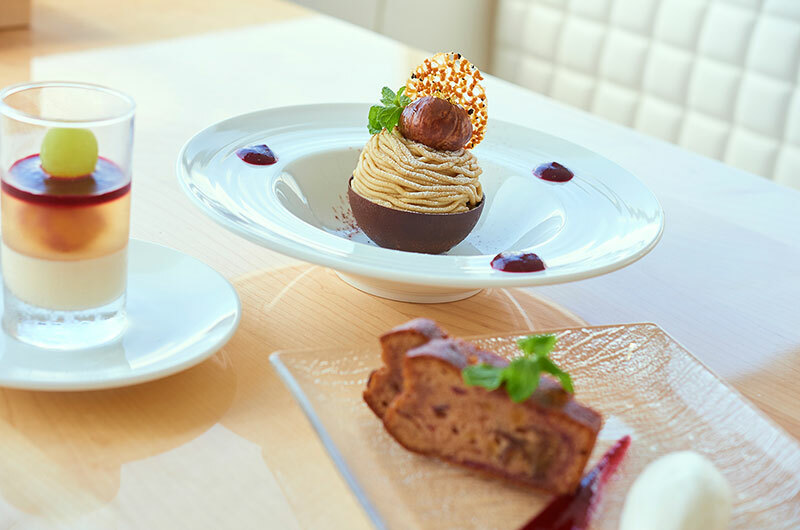 On the first floor, customers can enjoy delicious sweets while sitting on comfortable seats, measuring 1,500mm in width. 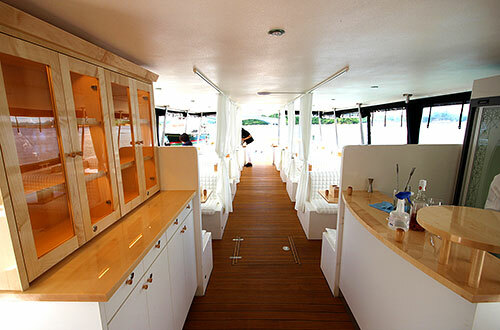 The rear deck will feature counters that can be used as free space. 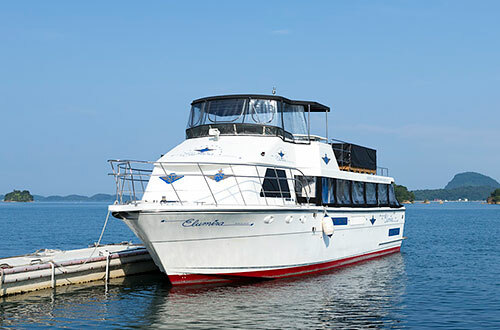 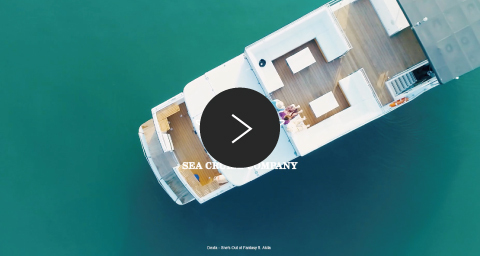 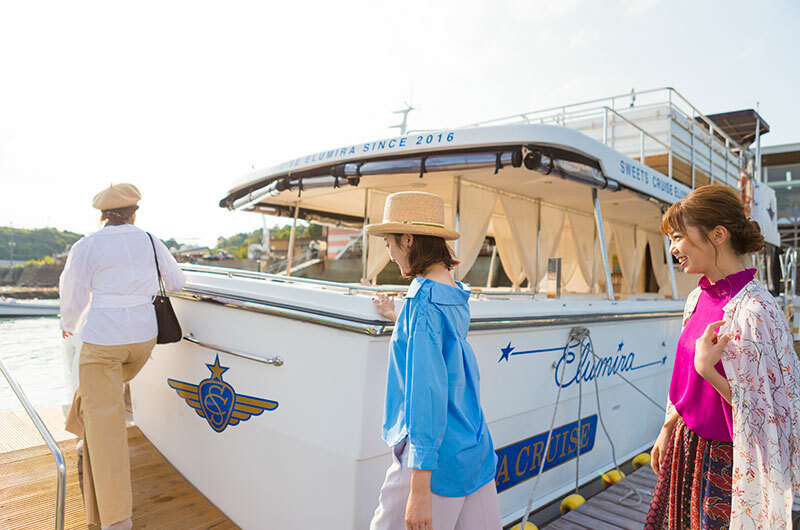 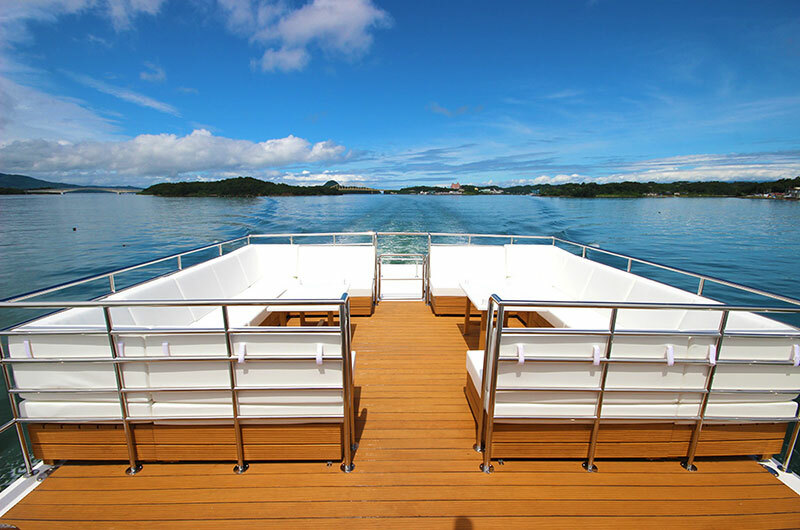 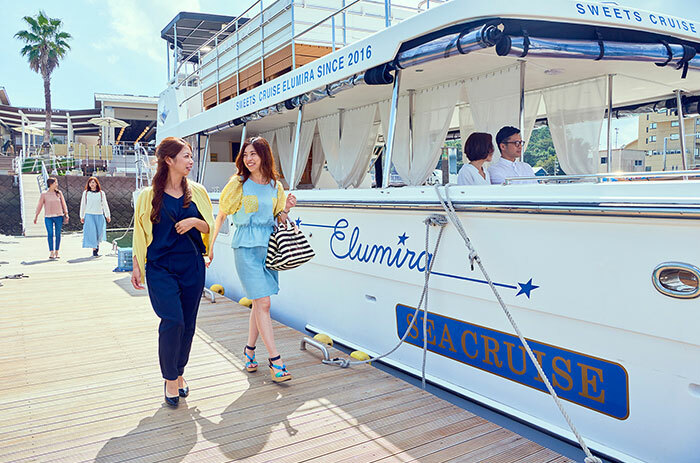 On the stern of the boat, guests can create lovely memories with their family and friends, while enjoying the wonderful scenery going past or the beautiful waves created by the sailing boat. 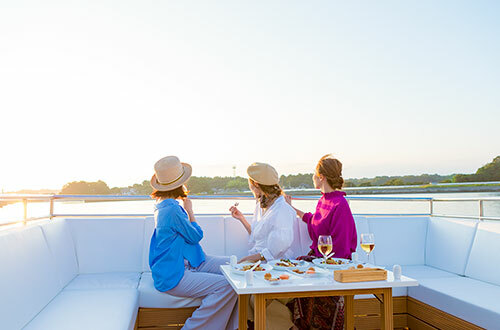 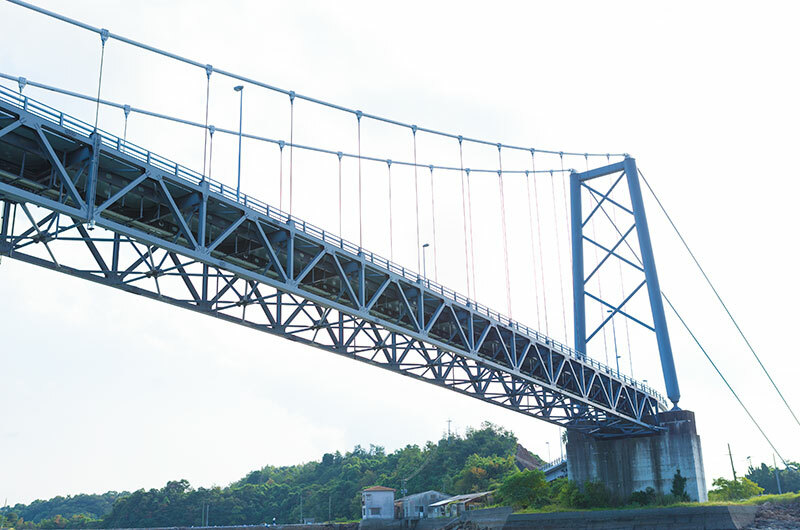 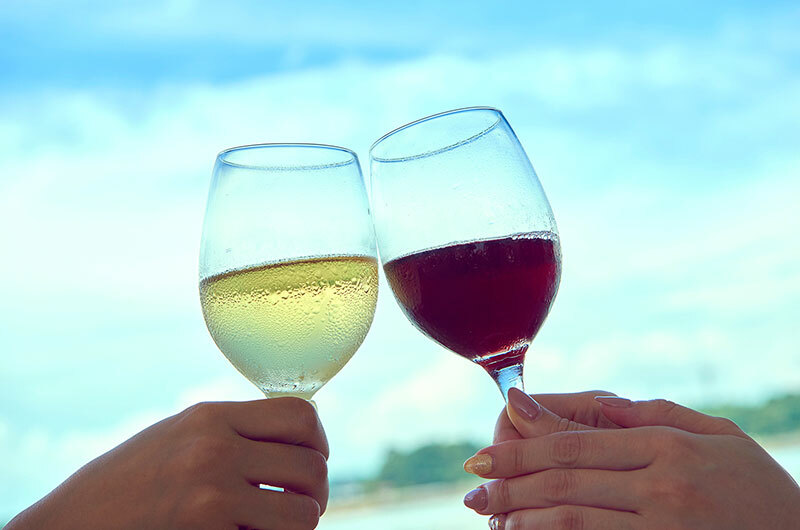 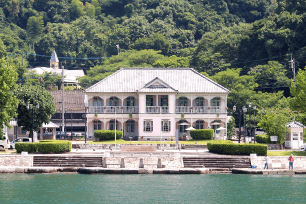 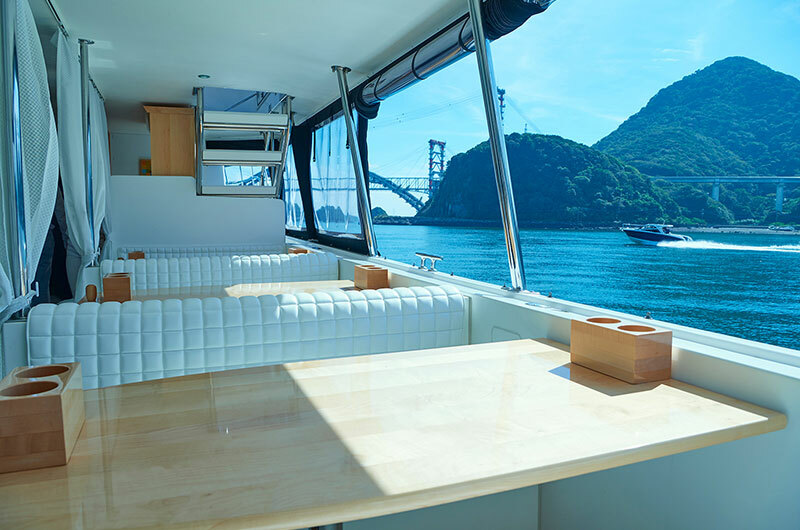 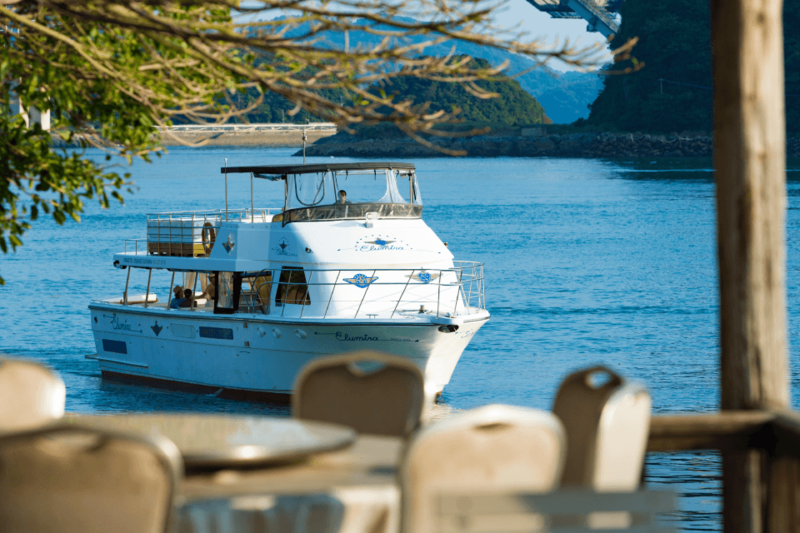 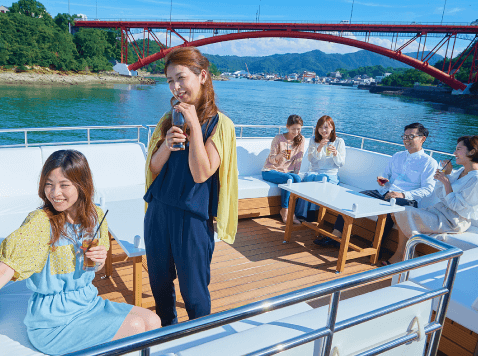 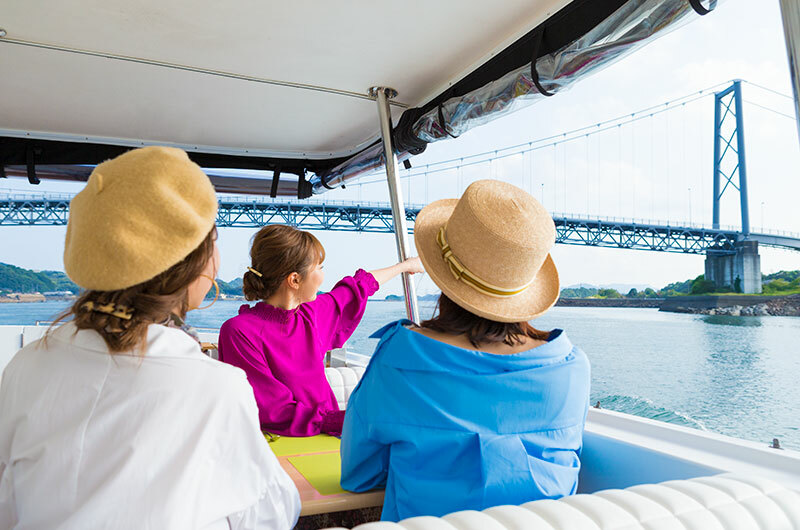 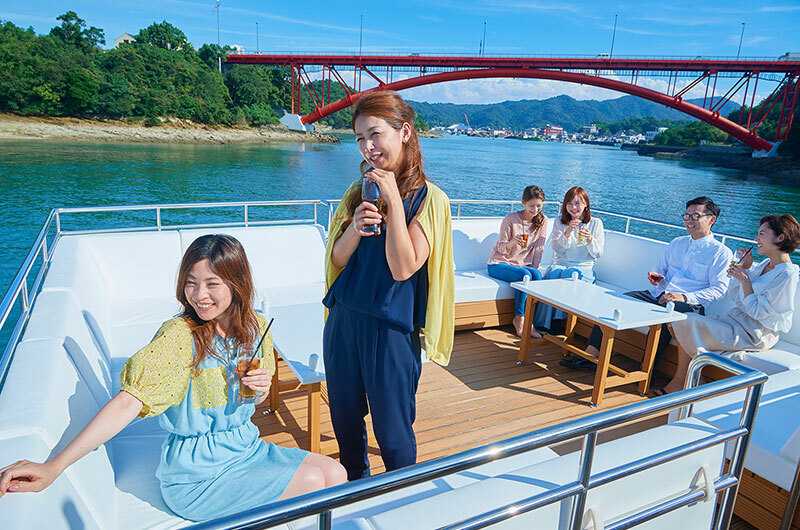 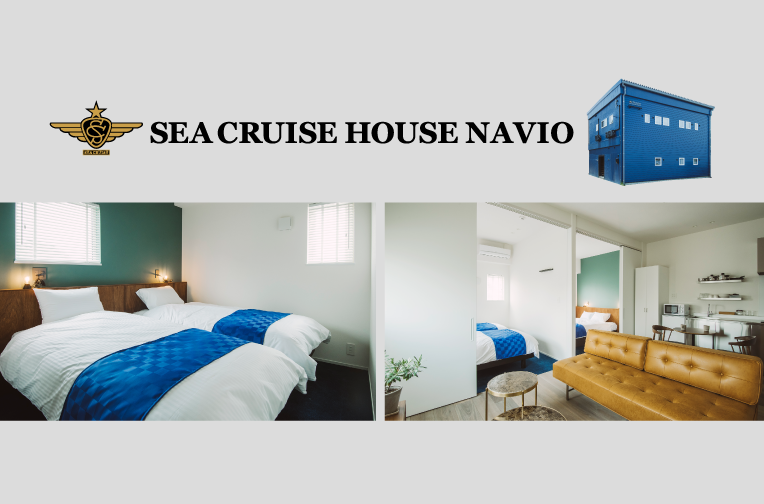 The second floor lounge offers some free space, allowing guests to have a drink in between meals, while enjoying close-up views of the Five Bridges of Amakusa and the beautiful scenery of Amakusa Matsushima along the cruise route. 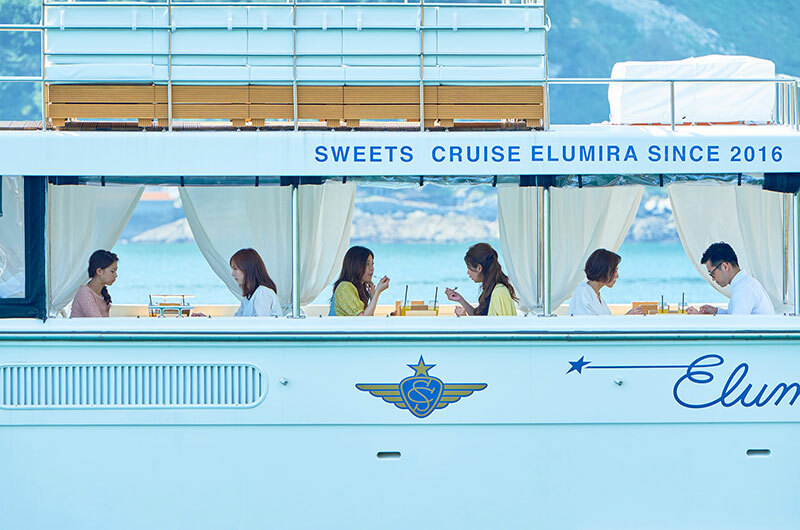 The sweets served at Sweets Cruise Elumira are created by Akihiro Shimogami, Pastry Chef of L'oiseau Bleu, the famous pâtisserie in Tamana, Kumamoto Prefecture. 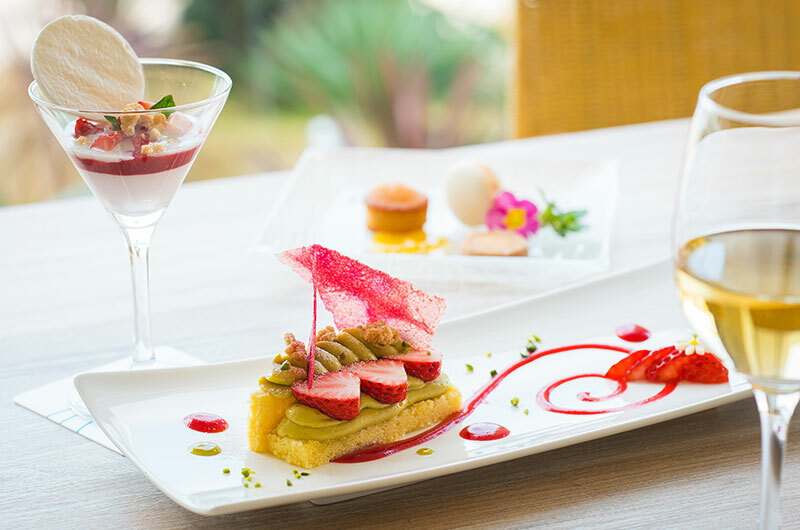 He is also the first Pastry Chef from Kyushu to have won the 2007 Luxardo Grand Premio competition, organized by the Federation of Japan Confectionery Associations. 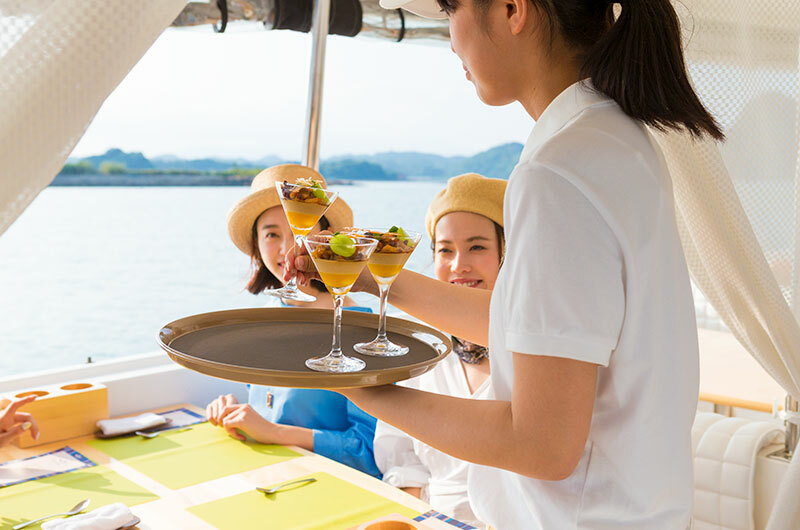 During this cruise, three sweets of the finest quality are made by this eminent Pastry Chef from Kumamoto, taking particular care to use Kumamoto ingredients. 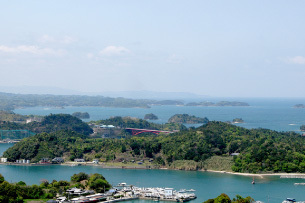 Kumamoto is an agricultural kingdom that boasts Japan's top figures in turnover of agricultural produce, offering a real treasure of ingredients such as citrus fruits, watermelons, strawberries, melons, chestnuts, and more! 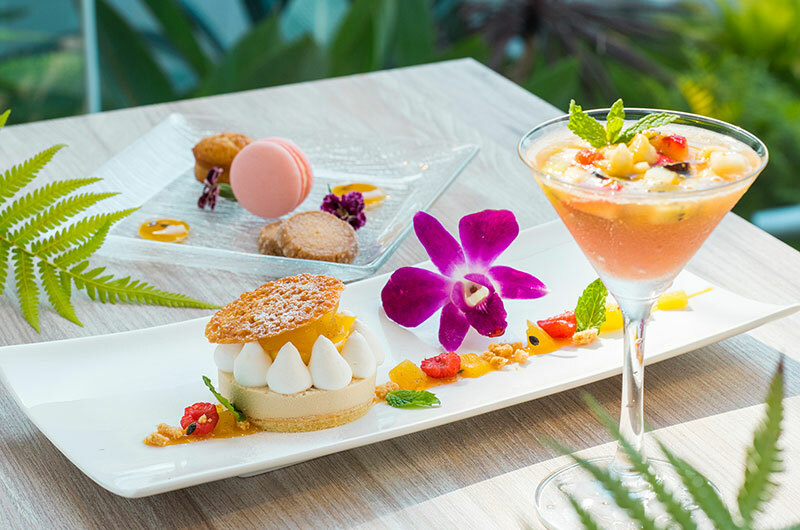 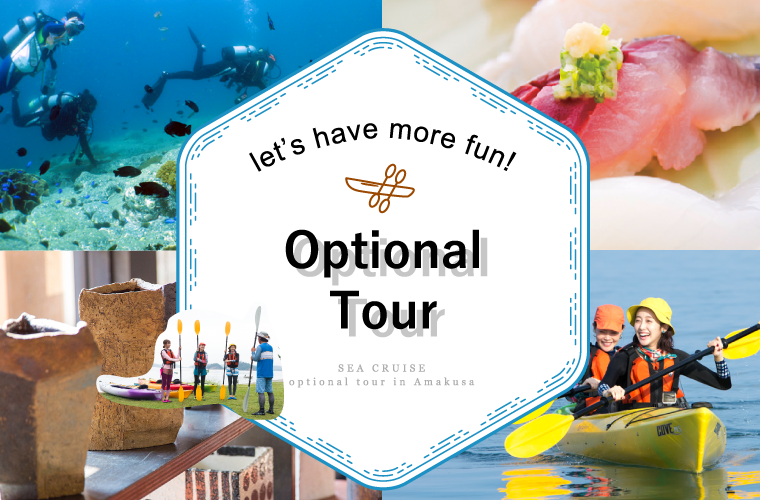 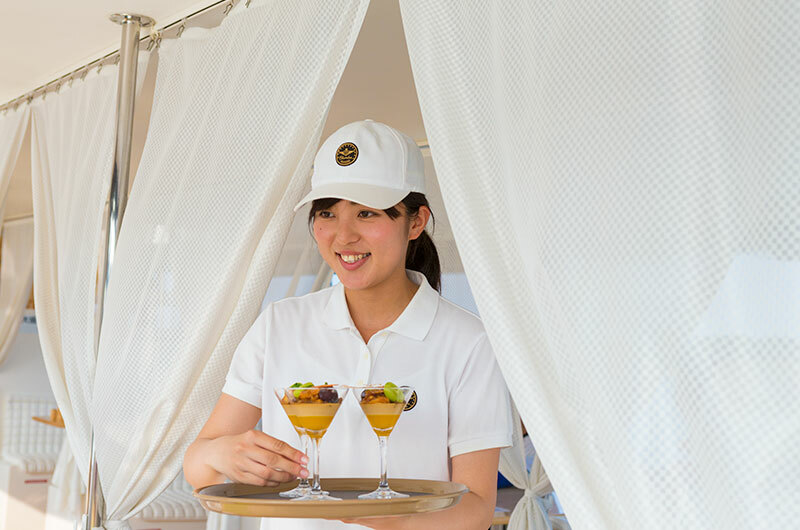 Our cruise offers delicious resort-style sweets, made with carefully-selected seasonal ingredients, under the supervision of Chef Shimogami. 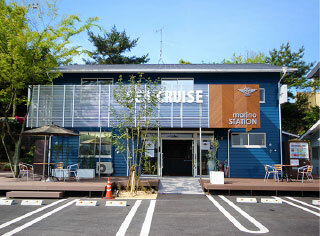 Born in Tamana, Kumamoto, on April 20th, 1971. 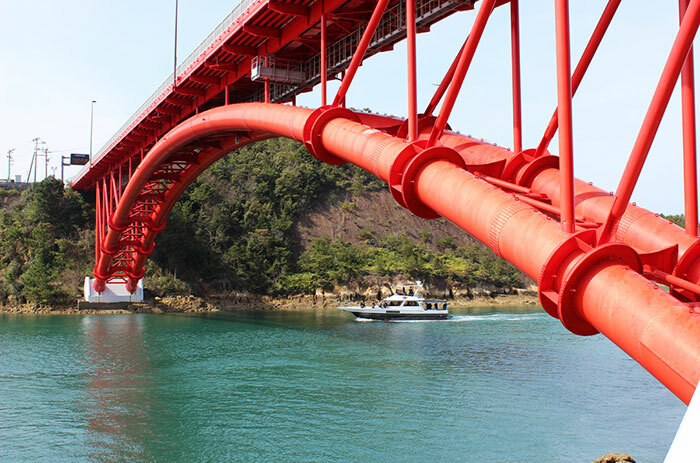 When he was in elementary school, he loved art and physical education, and also showed great enthusiasm for plastic modeling. 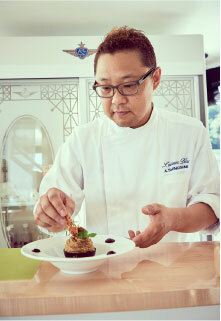 After graduating from senior high school, he studied at a confectionery school in Tokyo for two years. 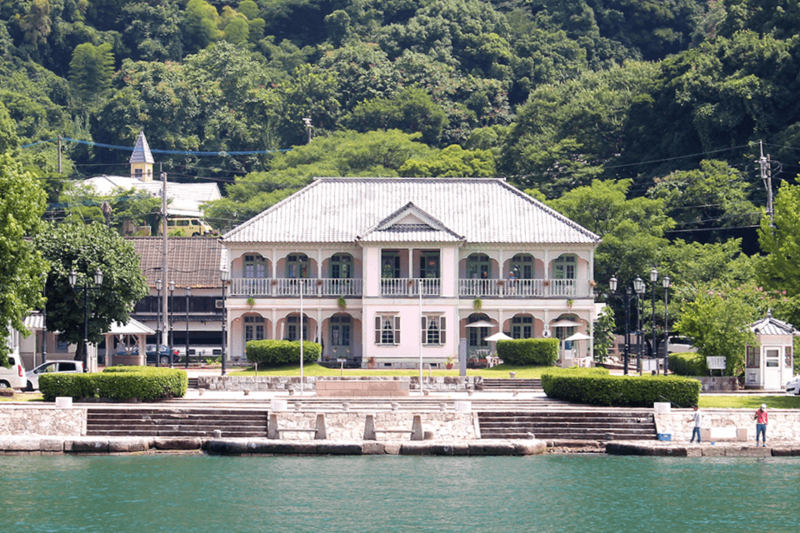 After his graduation from confectionery school, he studied the basics for seven years at Seijo Alps, in Setagaya, Tokyo. 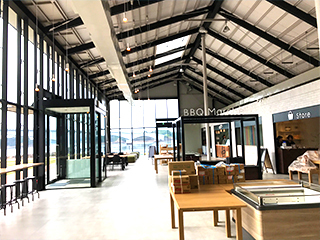 After turning 28 years old, he returned to Kumamoto and opened L'oiseau Bleu. 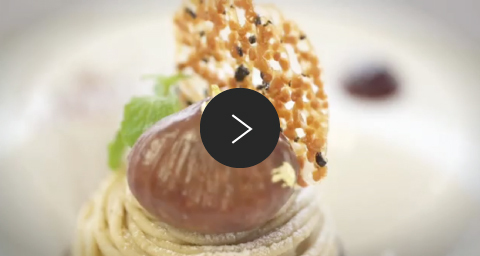 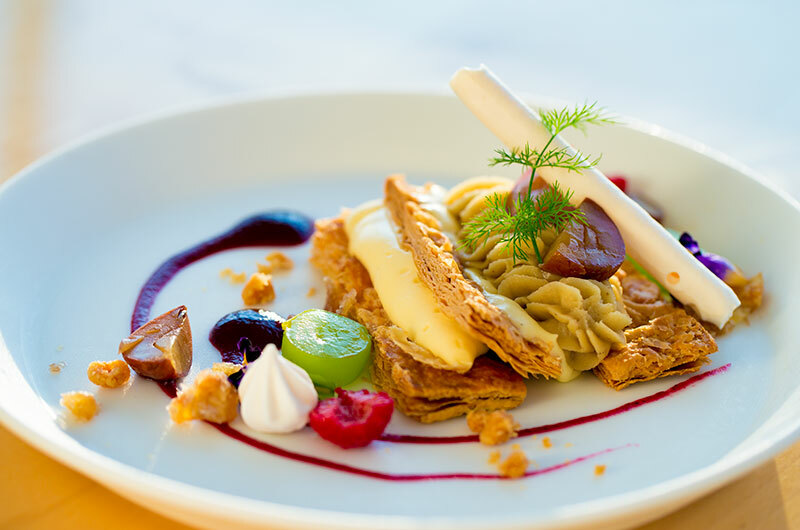 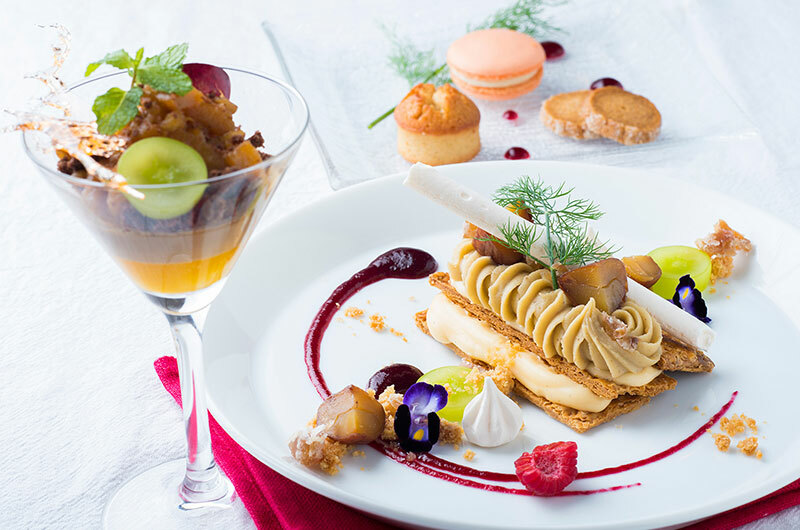 He has actively participated in competitions, becoming the winner of 14th Luxardo Grand Premio competition in 2007 and earning the position of number one Pastry Chef in Japan. 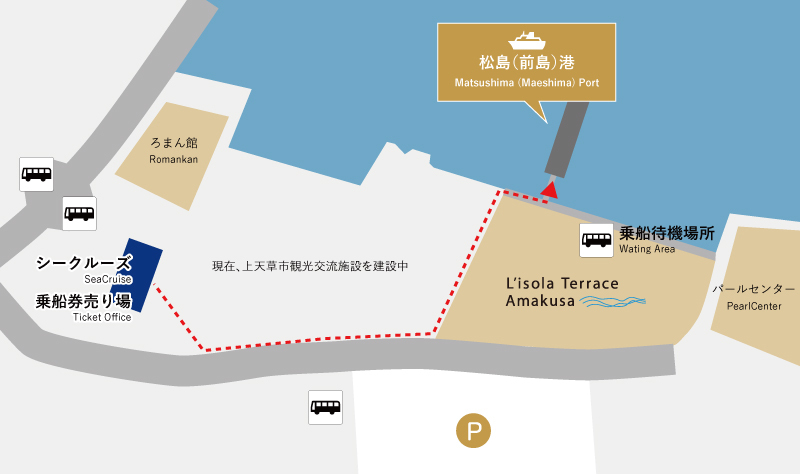 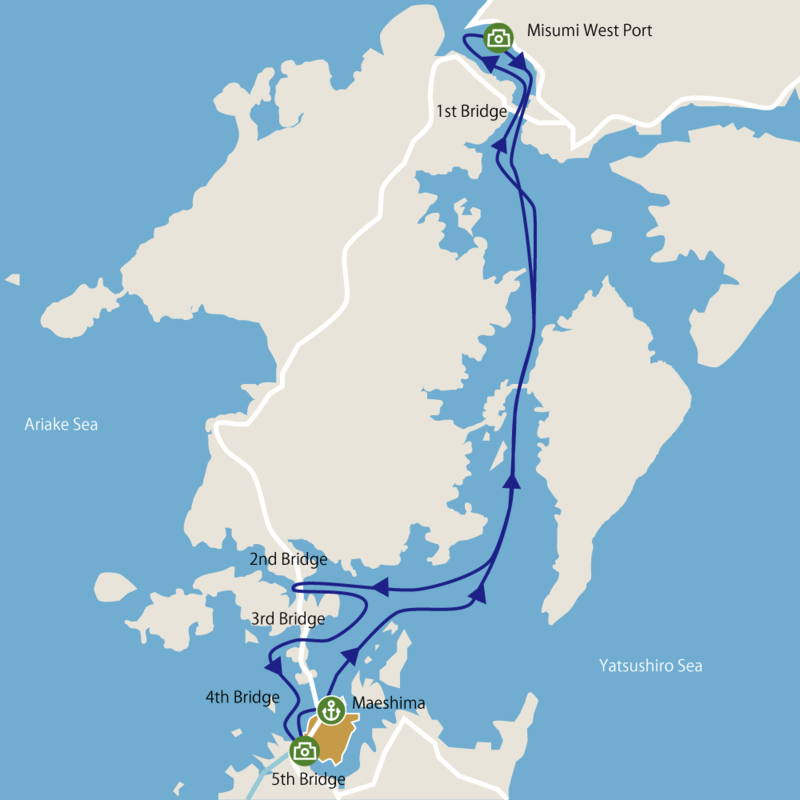 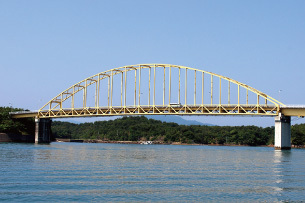 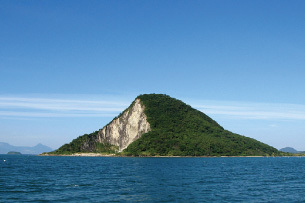 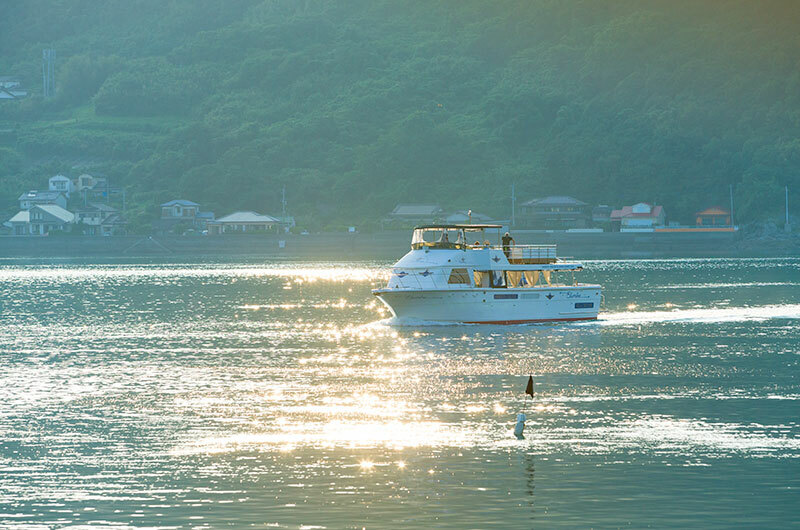 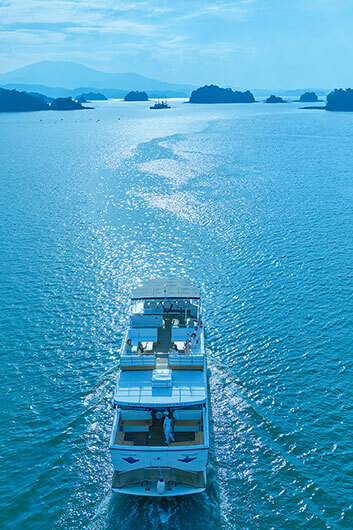 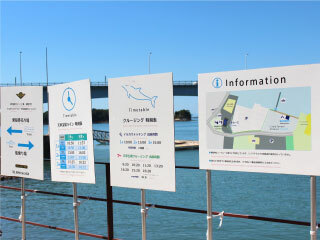 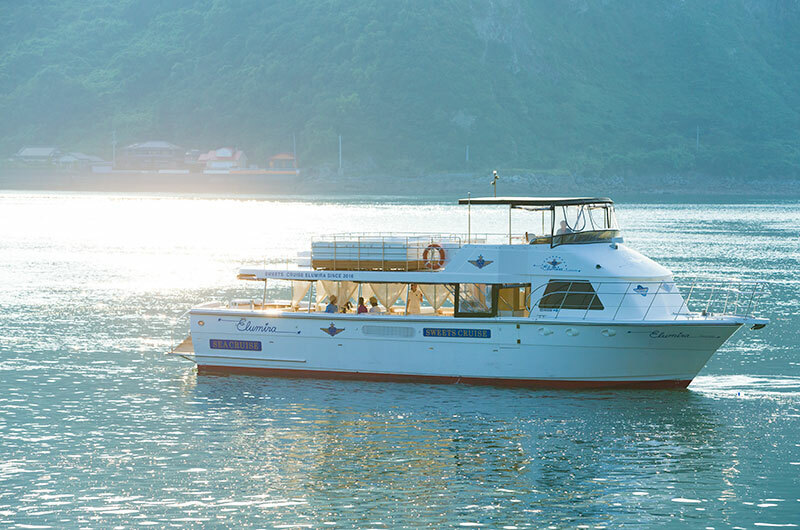 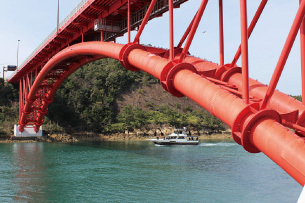 Our cruise offers two services per day visiting the Five Bridges of Amakusa and the archipelago of Amakusa Matsushima. 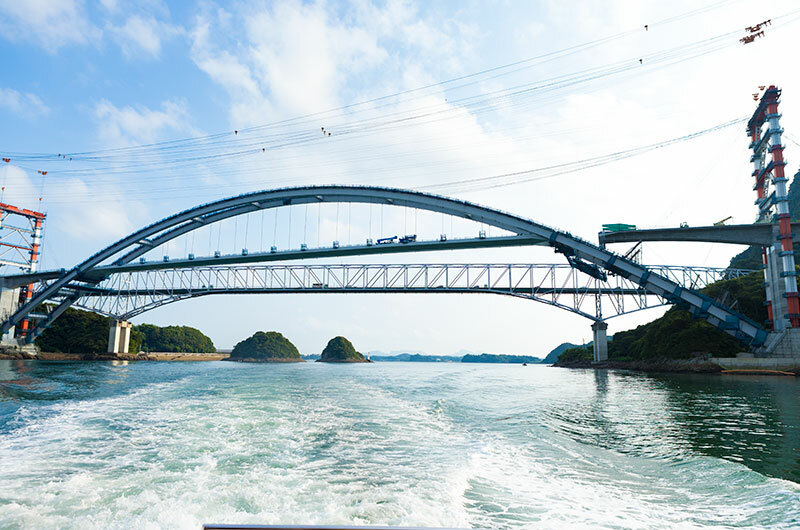 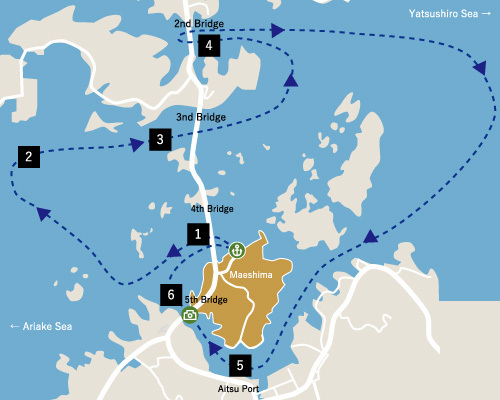 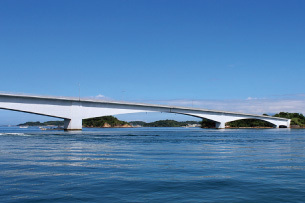 The services sail around Amakusa Matsushima, including Bridge Number 2 to Number 5 of the Five Bridges of Amakusa. 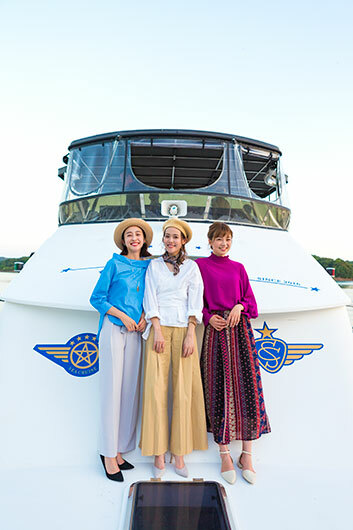 In September 2016, the Five Bridges of Amakusa celebrated a memorial year with the 50th anniversary of their creation. 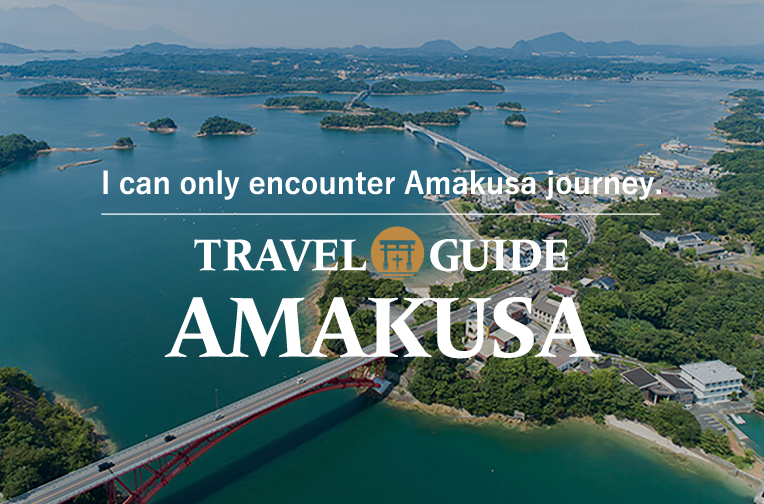 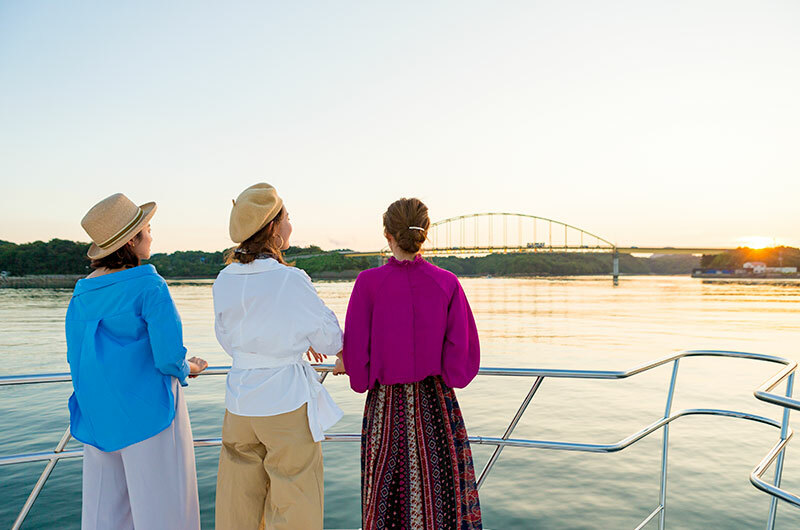 Enjoying close-up views of the Five Bridges of Amakusa, while admiring the beautiful landscape of the archipelago as it spreads across the sea, is a deeply emotional experience. 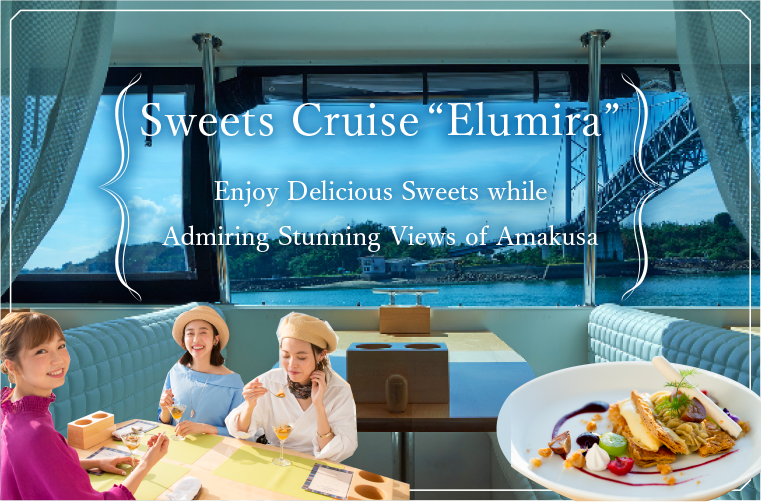 Sweets Cruise Elumira is a boat cruise that is unique even within the Japan, where guests can enjoy delicious sweets and beautiful scenery at the same time. 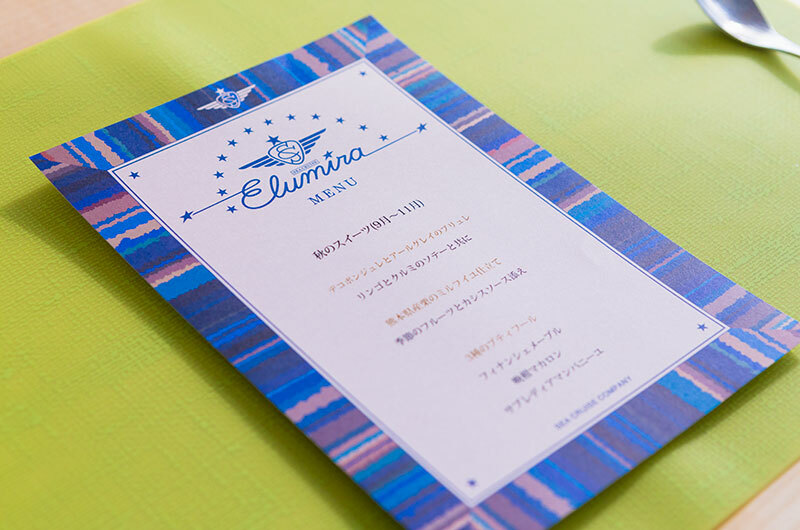 Elumira Exclusive Rentals Would you like to host a special party or wedding?